The Gapp family in Sturgis, South Dakota, created Sturgis Beef Jerky around 1964-where the Sturgis Public library is now. Would buy beef rounds to trim and slice on a slicer and cut by hand with a knife. Many of the customers and school kids who stopped by our store helped hone the recipe, until the perfect blend of flavors came to be. 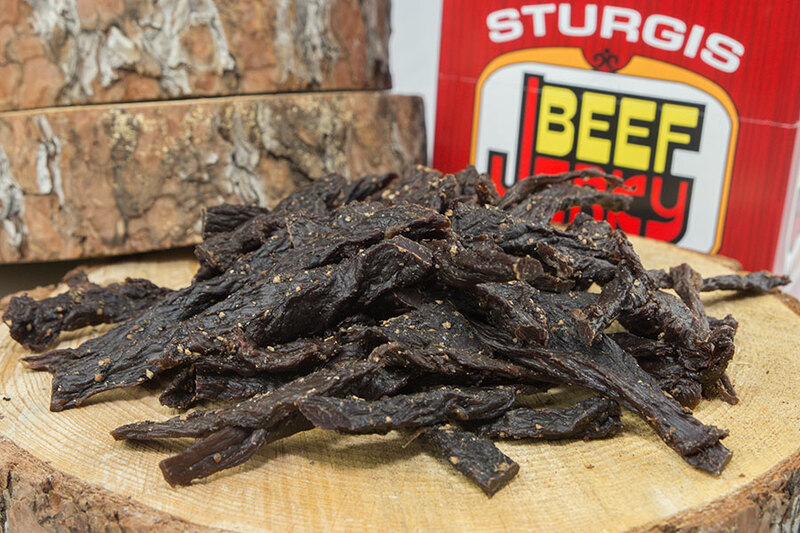 The result was our Original flavor of Sturgis Beef Jerky. Since then we have added Peppered flavor and Teriyaki flavor. Now we are the favorite of many local ranchers, school kids and military personnel, and the many bikers that attend the annual Sturgis motorcycle rally. Beef Jerky: We make and sell beef jerky! Private Labeling: Multiple opportunities for a business or entity to private label one of our products under their brand. We are in many convenience stores around South Dakota and Wyoming. We happen to stumble across it on a trip to South Dakota. It is by far the best, so now we order it from Iowa. Best beef jerky, great price! I love beef jerky and through the years have become a jerky snob. My favorite is the sturgis beef jerky. What I love besides the taste and texture is that it takes me a while to eat just the one once. I’m imbarrassed to say that I’m a fast eater and eat so fast I tend to eat more, but this really helps me to not over eat! Anyone trying to loose weight and eat better would benefit. I have family that sent me a box for Christmas and when I saw it on line I was excited. I had the folks in South Dakota price it out for me to do price comparison including shipping it was within a quarter each and I didn’t need them to pay for shipping to me. So actually it’s a better deal online. Thank you for making this available. My favorite jerky in the whole world! It has wonderful flavor! It was a great Father's day present for my husband from South Dakota. OMG, I used to stop and buy this in Sturgis when I worked in the missile fields back in the 1980's. I would stop every couple of years after that and always pick up a box. This jerky is great!!! The taste does not overwhelm your mouth, but it has a nice kick to it. Easy to chew and tastes like it is made out of meat, not artificial in anyway. 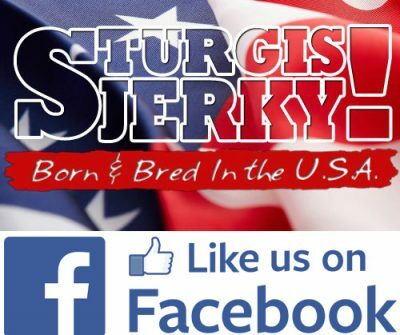 Love Sturgis jerky. Best Jerky on the planet! This is the best beef jerky out there! Used to get it all the time when I was out in South Dakota. This beef jerky is superb. The handy snack packets make it great for on the go. You won't be disappointed. Best jerkey in the world!! Best beef jerky on the planet! A friend of mine is from South Dakota, and goes back there every once in a while. He brings me back one or two 1 oz packets... They get eaten within 36 hours of me getting them. Absolute best beef jerky I've had, and man have I had a lot! Now I gotta do some math and see how much I'm going to order for myself! It's hard to believe, but we first discovered the beef jerky at Sturgis in 1975 while visiting the Korczak Ziolkowski Crazy Horse monument. While there wasn't much to see of the monument in those days, only an armpit hole, when we stumbled upon the place selling the Sturgis jerky we found ourselves in jerky heaven. 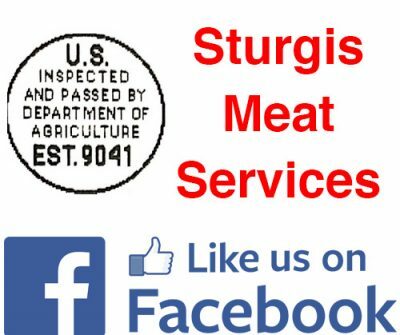 We have had jerky from numerous places over the decades and nothing by far compares with the taste and quality of the beef jerky that the Sturgis plant offers. This is, BY FAR, the very best beef jerky you will ever eat. It is well worth the cost. When we want exceptional beef jerky, we always find ourselves returning to Sturgis.